We love weddings and celebrations and events and parties and what a pleasure to be a part of a New Year's Day wedding! On 1 January 2018, we welcomed the New Year by being a part of Alyssa and Michael's wedding at their beautiful farm in Serpentine. We met Alyssa and Michael when we participated at the Millbrook Winery's wedding open day in May 2017. Our Staff Sarah showed them the features of the photo booth, the fun experience it offers and the memory factor that lasts forever. As a result, both Alyssa and Michael and Sylvana and Aaron (Sylvana is Alyssa's sister) booked our photo booth services for their weddings. Sylvana and Aaron got married first on 28 October 2017. So on 28 October 2017, we provided the open photo booth service at Sylvana and Aaron's wedding reception - at their farm in Jarrahdale (just a few minutes from Alyssa and Michael's farm). The weather was crazy that day. It was stormy and windy but the poor weather did not dampen everyone's spirit. The photo booth was busy and was able to capture fun and wonderful images. We were also able to record a few video messages and have captured written well wishes on the memory book. Then on 1 January 2018, we were up in the area again, this time for Alyssa and Michael's wedding. It was a nice sunny day and we provided the white enclosed photo booth. Just like the one that we did previously, the photo booth was busy and was able to capture amazing and wonderful memories. Having a photo booth at a wedding reception is absolutely a great idea and we don't just say this because we are in the photo booth services business. 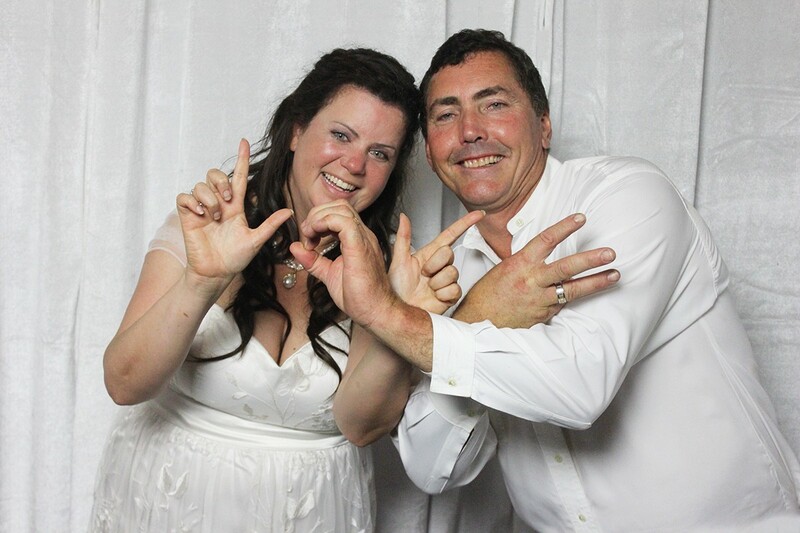 The right photo booth service is always able to provide a fantastic experience for your guests. Having a photo booth allows your guests to capture creative photos, funny, silly and some great and amazing photos (that sometimes they don't even remember they have taken :-)). 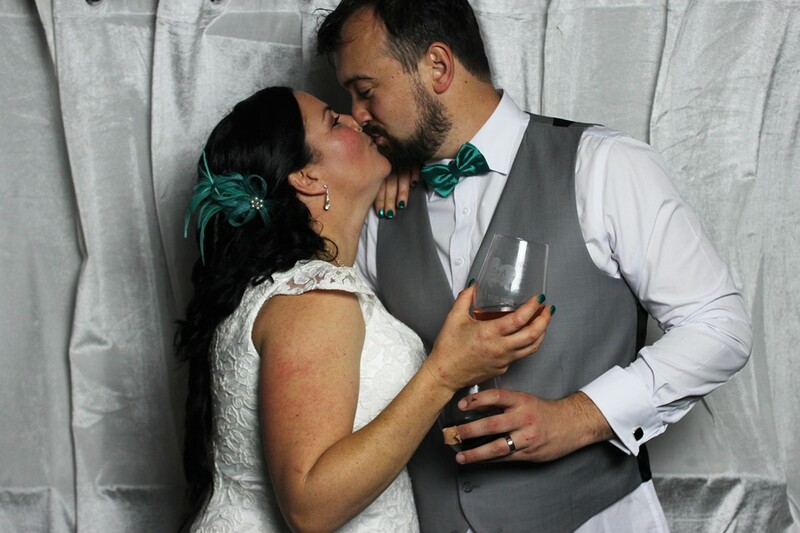 Here at the Mighty Booths, we have been in the business of providing a reliable, affordable and fun photo booth experience since 2011 and weddings have always been a big portion of the events that we do. If you are organising a wedding or any other event, give us a call on 0468 638 063 or drop us a line on info@themightybooths.com.au. We would love to be a part of your celebration.